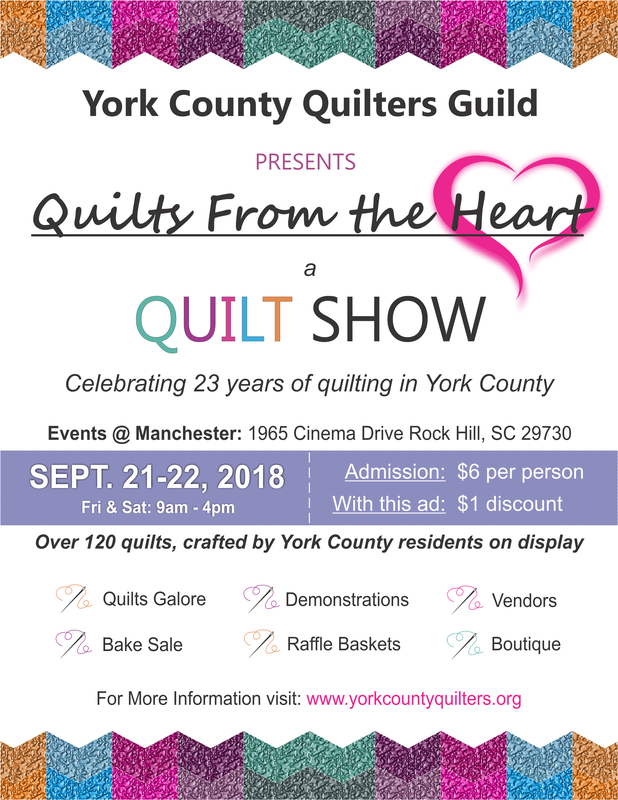 The York County Quilters Guild (YCQG), was founded in 1995 to provide a guild to encourage, teach and promote the art of quilting through fellowship, monthly meetings, presentations, demonstrations and planned activities for those who share a love of quilts and quilt making. There were 71 founding members. 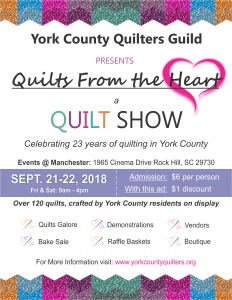 In 2013, the York County Quilters Guild incorporated as a non-profit 501c3 corporation, officially changing the name to the York County Quilters Guild, Inc. At the time of incorporation, there were 167 active members in the guild.